Any text can be twisted to mean something that was never intended. Sadly, this is done with the Bible all the time. Single verses are wrenched from their contexts and reinterpreted to fit the misinterpreter's agenda, proving the maxim that "a text without a context is a pretext." If one is truly searching for truth, then one must always consider the context of the words being spoken. Especially when it is the Bible you are reading, because so much more is at stake. 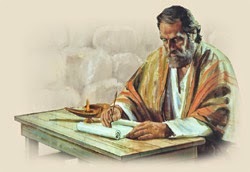 One of the Bible's teachings that is frequently attacked is that of the deity of Christ. But every single one of the New Testament's four Gospels declares Jesus as God. And every single one of them does so in the very first chapter. We must also remember that, if the Gospel authors assert Christ's divinity in their very first chapters, this means that Jesus is God throughout the entire book. Jesus cannot start off as God and lose His deity a few chapters later. That would make no sense. Either He is God, or He isn't. And we must let the text show us what it says. In its proper context. There will be no pretexts here. While the Jews had been waiting for thousands of years for the coming of Messiah, the One they were expecting was a conquering king. Instead, He came as the Suffering Servant. For centuries, YHWH had been speaking through His prophets and slowly revealing that that Messiah was to be "Wonderful Counselor, Mighty God, Eternal Father, Prince of Peace and the Lord of hosts," all of which are divine titles. 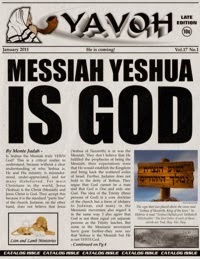 The Old Testament of the Bible identifies only One Person as being The Savior, and that is YHWH. Jesus Himself and the New Testament identify Jesus as That Savior. They are one and the same Person (see article linked to below for more), in the same way that Jesus and the Father are one (John 10:30). 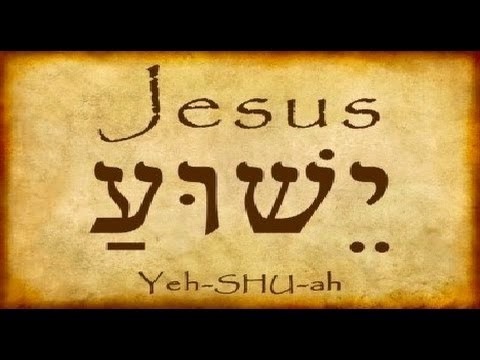 Jesus' very own name in Hebrew, Yeshua, means "The Lord Saves." And in Jesus' case, the name is a literal one. 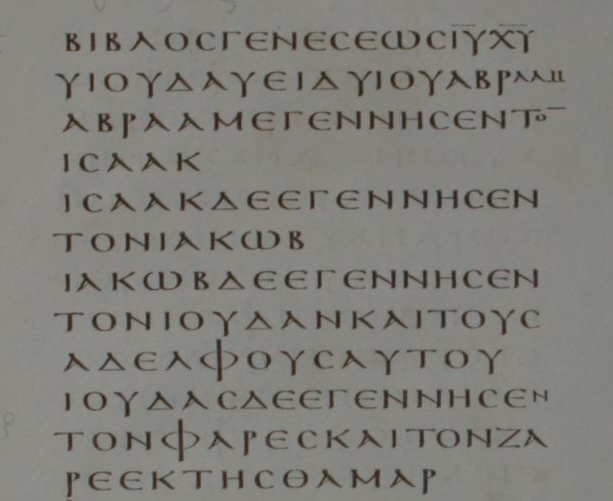 The Gospel writer Matthew quotes Isaiah 7:14 in calling Jesus "Immanu El," which Matthew translates for us as "God with us." And God Jesus truly is. And so in just these three verses from the very first chapter of Matthew, we see Jesus identified as God. As we stated earlier, Jesus is identified as God all throughout not just the Gospel of Matthew, but throughout the entire New Testament. This means that, as we read through the rest of the Bible, we must always keep this fact in mind. Yes, He came to earth and took the form of man to become the Savior of sinful men by dying on the cross and raising Himself from the dead. Only God had the power to do that.